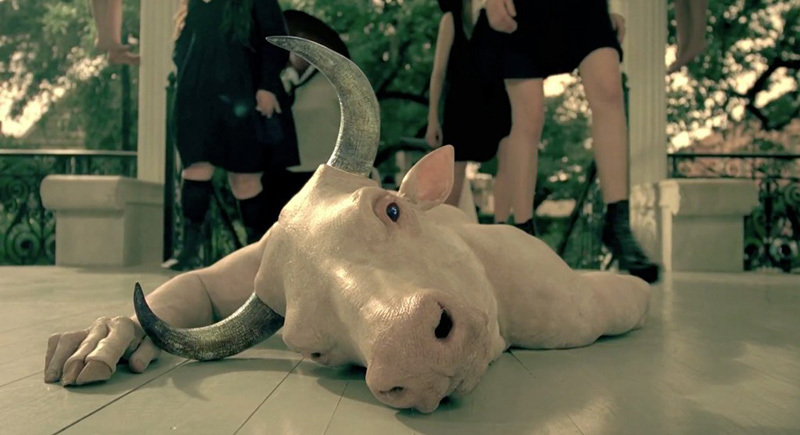 If It's Hip, It's Here (Archives): Bewitching Promos For American Horror Story's Coven Are Spectacularly Spooky. 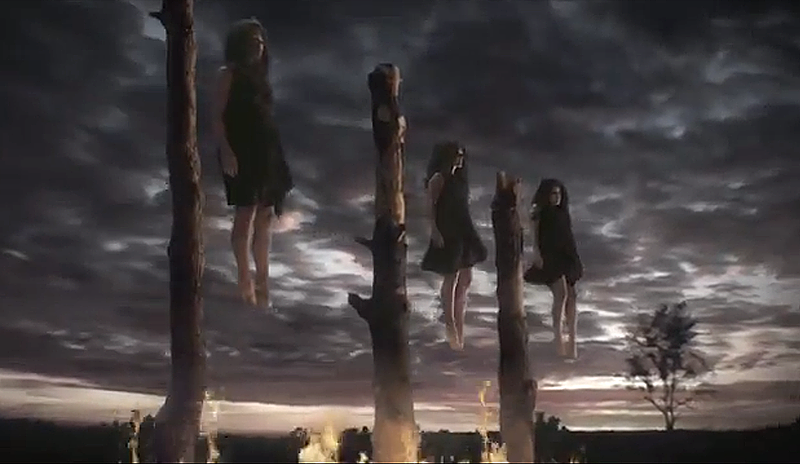 Bewitching Promos For American Horror Story's Coven Are Spectacularly Spooky. 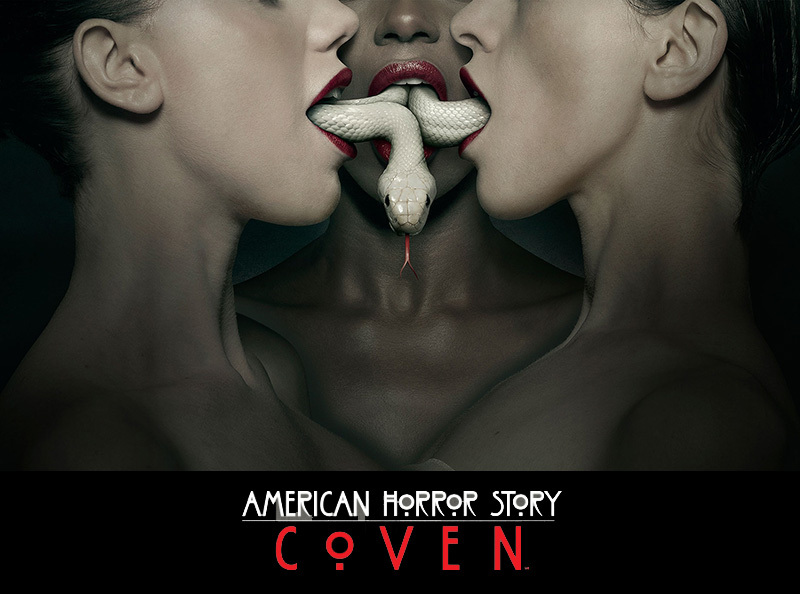 Two nights ago, the first real promo for the upcoming third season of the FX Network's American Horror Story: Coven began running. Preceded by five 20 second teasers (all of which are also shown in this post), the latest promo, Initiation, is the first to reveal the cast and is absolutely impossible to ignore. 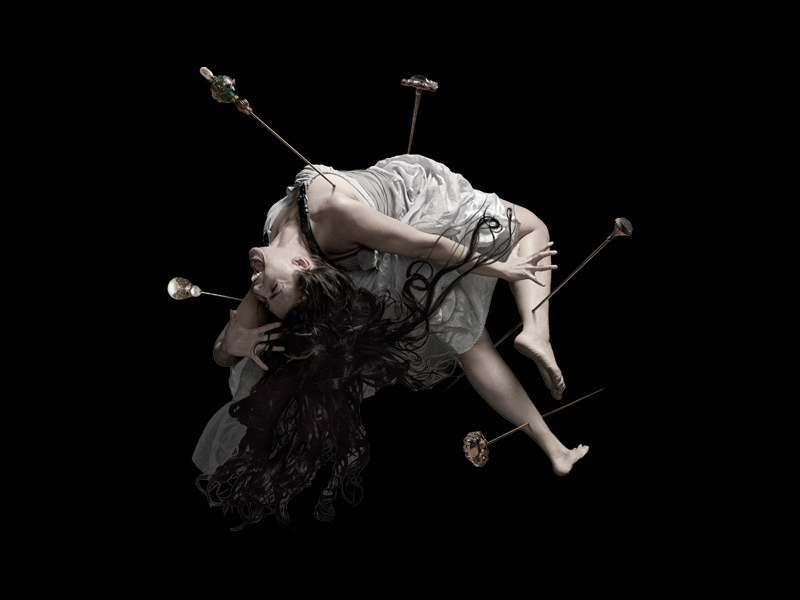 Beautifully shot and accompanied by an eerie rendition of House Of The Rising Sun, it is compelling enough to get just about anyone to tune into the premiere on October 9th. The 30 second promo features stylishly dressed young women walking into a special school that we know, based upon the synopsis, will be where the young girls are sent away to learn to protect themselves from mysterious and dangerous happenings in New Orleans. Young witches Taissa Farmiga and Gabourey Sidibe are amongst the attendees. Also in "Initiation" is Evan Peters looking on from a window in the school as Sarah Paulson, who plays Jessica Lange’s daughter this season, opens the entrance to the school. 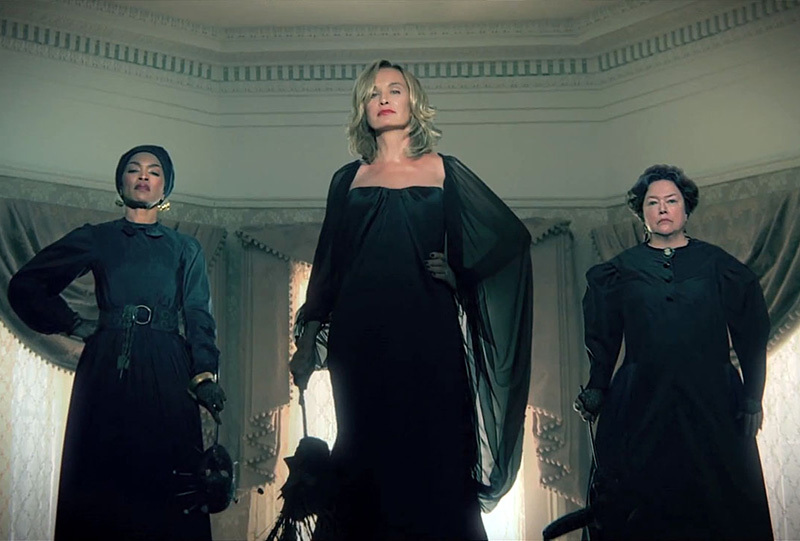 At the end of the promo, the young witches then come upon actresses Jessica Lange, Kathy Bates, and Angela Bassett. 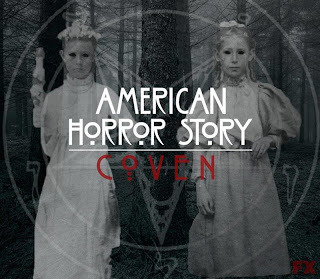 Like the previous seasons, American Horror Story season 3 will include many well known actors such as Jessica Lange, Frances Conroy, Sarah Paulson, Evan Peters, Taissa Farmiga, Kathy Bates, Gabourey Sidibe, Angela Bassett, Patti LuPone, Emma Roberts, Denis O’Hare, Alexandra Breckenridge, Christine Ebersole, Danny Huston and Lily Rabe. 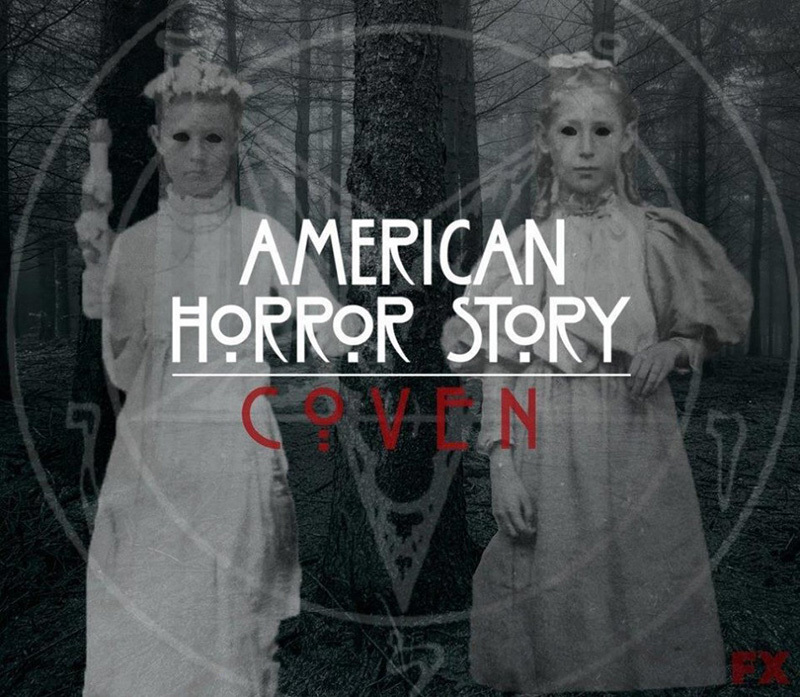 Coven, Series Premiere Wednesday, October 9 at 10p on FX.